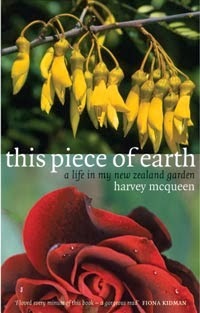 Just to say how much I enjoyed reading Harvey's book "In my New Zealand garden". If you could ever do it I think if you published your blog it would be a great complement to it and be an inspiration to people in a similar situation. I know that moment so well, of coming home to a cold and empty house. One trick is to use a timer switch to turn on the radio or lights to act as a surrogate welcome. But in the end, it's human presence that does it. I too enjoy checking my blog and finding heart-warming comments from my blog friends. Oh yes! I agree with Anne G re publishing your blog one day. This thoughtful and selective recounting of your particular navigation of learning "how to live on my own for the first time in my life" holds such beauty and integrity in its own right - as well as being a special resource and 'company' for others. And I agree with Juliet that no matter what strategies we use, it's human presence and connection that 'does it'. May there always be warm comments sprinkled through your 'in box' and 'blog comments'!